Beer, food, and fun aside, the heart of this event is our Richmond’s Finest Honorees. 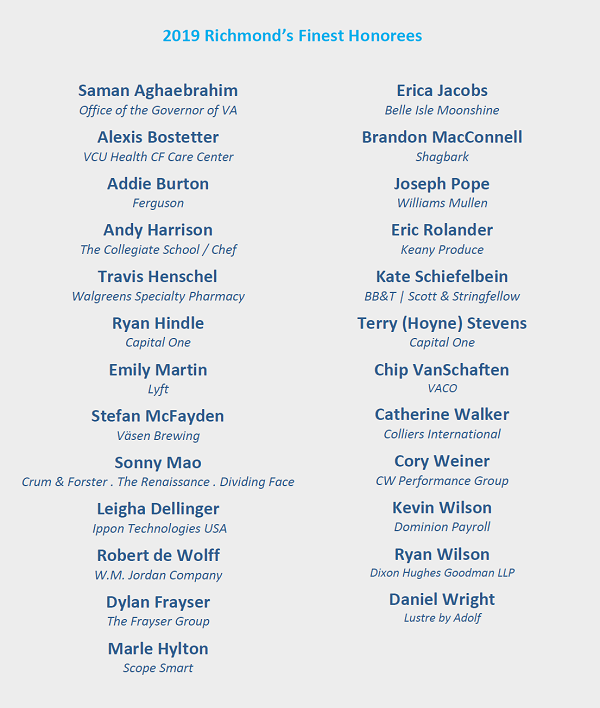 These twenty-five (25) remarkable individuals are competitively selected based on their professional successes, spheres of influence, and philanthropic spirit to join in the fight to end CF and to move us closer to a cure for cystic fibrosis. To view our honoree leaderboard, purchase tickets, or make a donation click here! Please support our Honorees in their fundraising to help make CF stand for Cure Found!